The first night of Beyond Wonderland SoCal is chugging along as smoothly as any festival hopes to do, and everyone already inside the gates is probably having trouble picking between all the incredible talent on each of the stages. 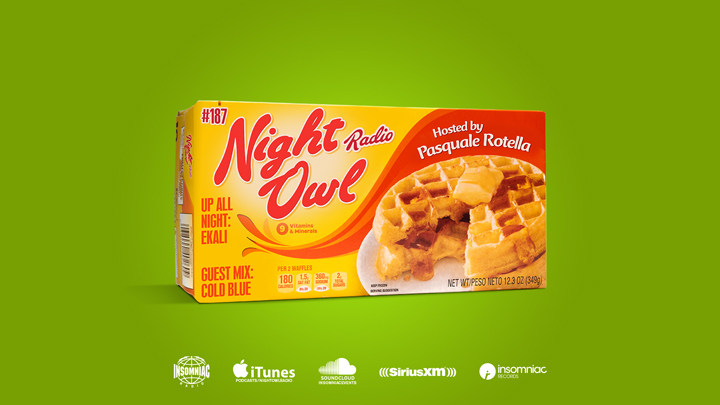 While they are busy making these tough calls, Pasquale has his hands full trying to narrow down all of the solid tunes he wants to squeeze into this week’s show. Once he burns through the bunch, he then gives a go to two of the guests performing at Beyond this weekend. Based out of Vancouver, Ekali has been grabbing more and more recognition as the days go by for having some of the best body-gripping beats in the game. His catalog already has credits with names from Drake to Zhu, and his profile is still nowhere near its peak. He’s sliding into Mad Hatter’s Castle on Saturday (and following that up with another set at Beyond Monterrey next month), and he greases up the wheels for both appearances by delivering three strong Up All Night selects. The trance fam is going to get a kick out of the person responsible for putting together the next guest mix, as he’s been a piping-hot commodity at Dreamstate shows since making his US debut a few short years ago. Cold Blue is absolutely crushing it in the uplifting and tech trance categories, and the German soon-to-be-superstar goes straight into melodic mode on the 30-minute Beyond mix that closes out the show.